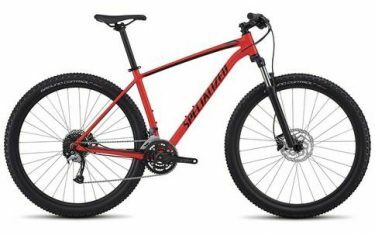 Riding trail requires a bike that can do it all with ease, take some hits, and be ready to come back for more. Riding trail requires a bike that can do it all with ease, take some hits, and be ready to come back for more. 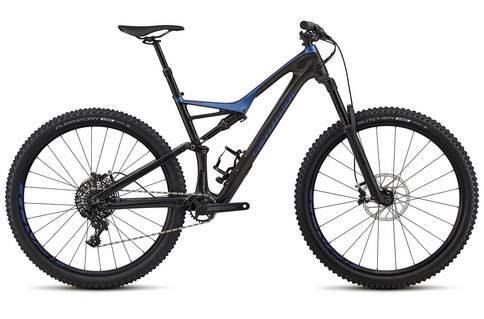 And when it comes to this, nothing outperforms our Stumpjumper Comp Carbon 29/6Fattie. FACT 9m carbon fiber Trail Chassis with Stumpjumper FSR M5 alloy rear end blends stiffness with light weight to form the pinnacle of efficiency, while fully enclosed cable routing and an integrated SWAT™ Door create exceptional handling and zerohassle storage. 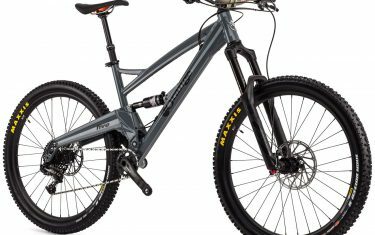 RockShox Revelation RC fork features a 15x110mm Maxle Ultimate thru-axle, a Solo Air™ spring, and 150mm of plush travel to take on big hits and bumpy terrain with supreme speed and efficiency. SRAM’s 11-speed GX groupset features a wide gear range that delivers climbing and descending efficiency in spades. On top of this, the one-by setup is notorious for being next to impossible to drop a chain with, plus it provides a significant weight savings in comparison to a standard two-by setup.